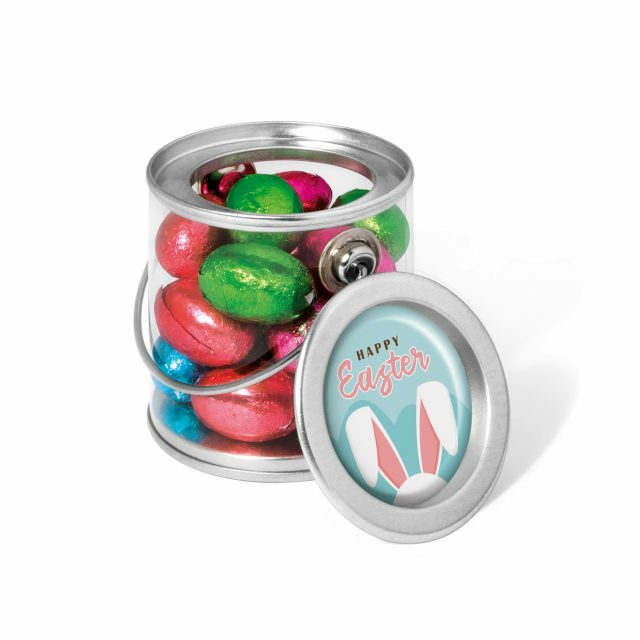 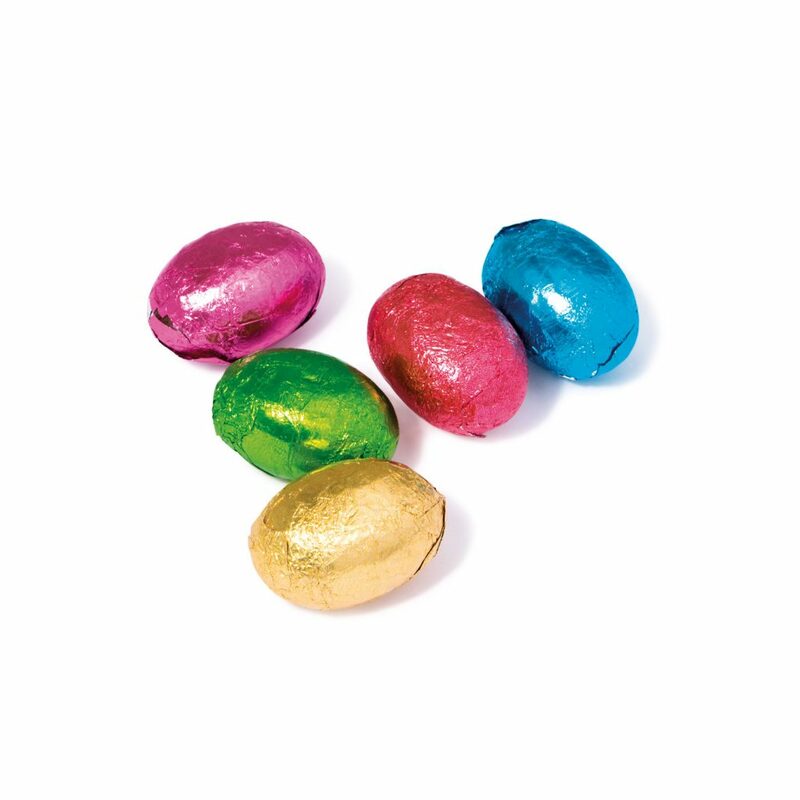 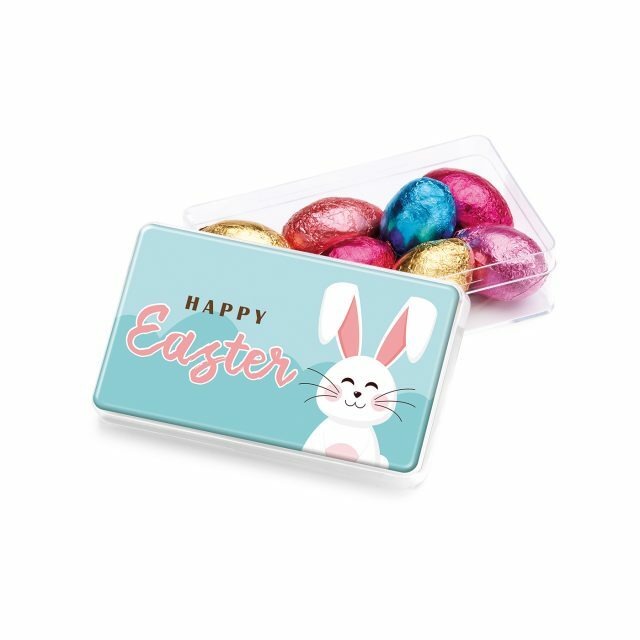 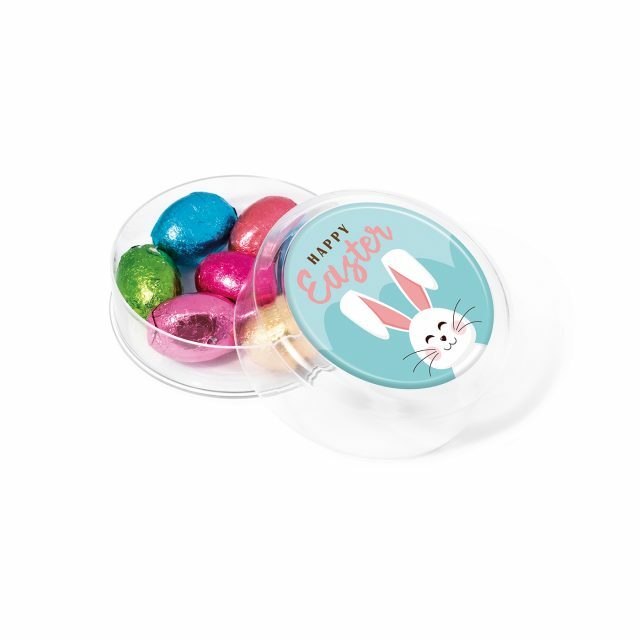 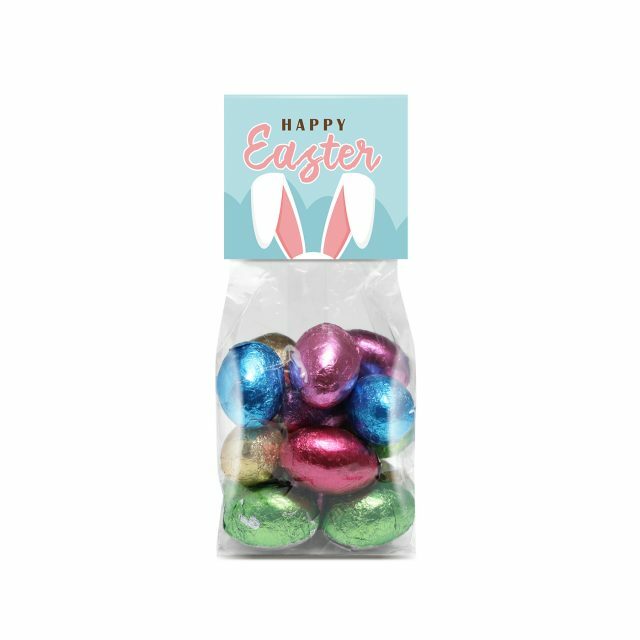 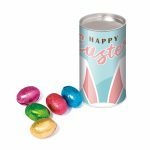 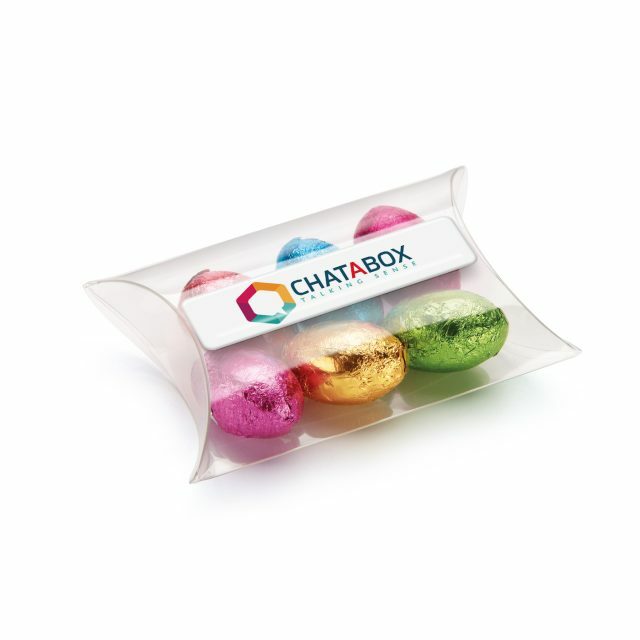 A small snack tube filled with foiled chocolate eggs. Branded with a full colour paper wrap to the cardboard tube. 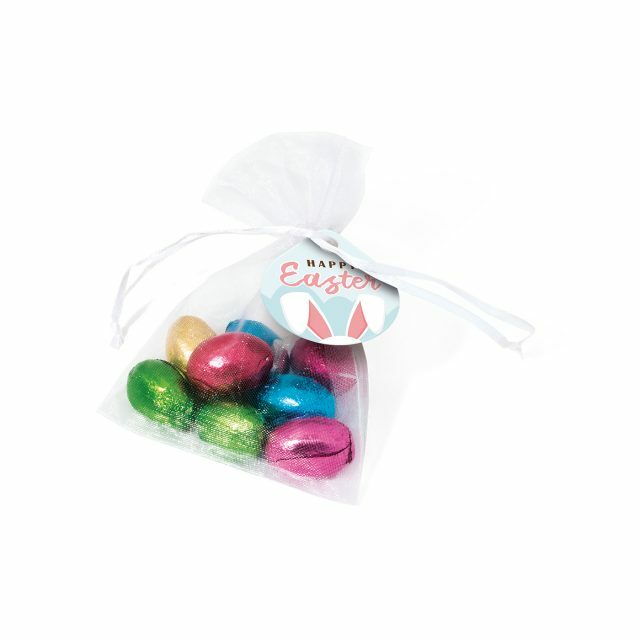 A great alternative to single use plastic packaging.